The BakFlip VP is available for most domestic and imported pickup trucks. With the BAKFlip VP, style meets strength and simplicity. 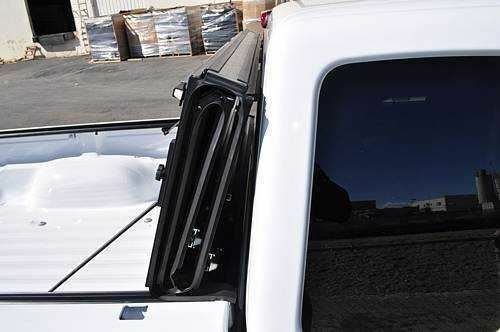 High-grade aluminum components make for a lighter, stronger and easier to operate tonneau cover. Textured vinyl skin provides solid protection from the elements, making it completely weather resistant with no exposed hinges. The VP combines the security of a hard folding cover with the elegant look and feel of leather grain vinyl.